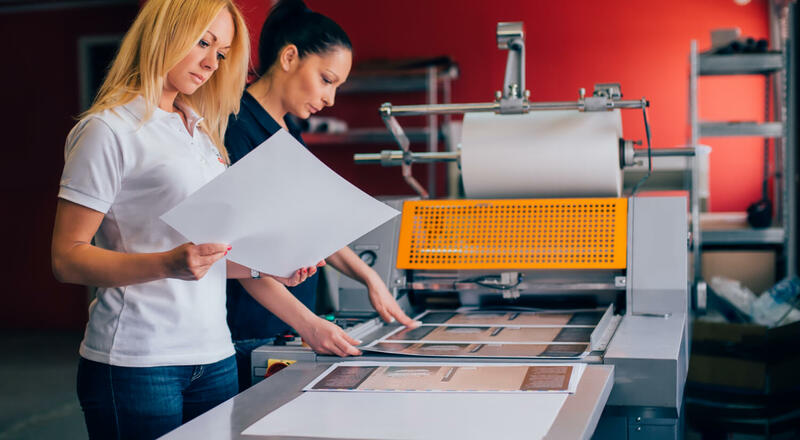 If you’ve ever had a brochure printed, ordered a shirt with your logo, or updated your website, you may have noticed some unfamiliar terms. 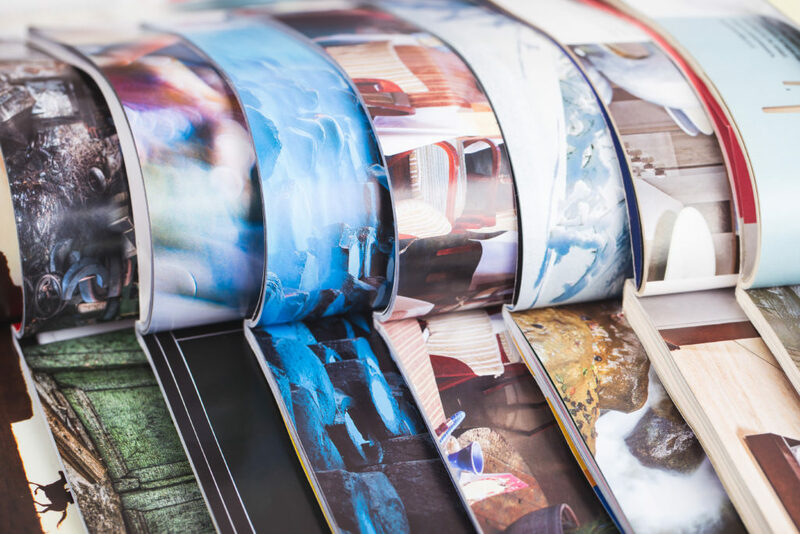 When it comes to graphic design, digital design, and print projects, there are some common print terms used in the industry. We keep things simple and focus on our customers. There may be times when we ask for something specific we need to keep your project moving forward. If you have a graphic designer or marketing person on staff or work with one, you may hear some of the following terms mentioned. We want to equip you with the basics so you can get what you need and know you’re in great hands at J-C Press. Vector images: Are infinitely scalable. This means you can make the image larger or smaller without losing quality of the image. Many times you’ll hear this referenced for logo files. When you get files from a designer, you may see files labeled .ai or .eps. You may not be able to open them and be then be tempted toss them into your trash. Do not do this as these are the vector files another designer or printer will ask for. Raster images: Are not scalable larger than original size. This type of image can be made smaller, but cannot be made larger without losing quality of the image. Raster images that are made larger than their original size are blurry and grainy. Whenever possible, download the largest size image you can and resave the smaller versions you need. Opacity: This describes the opaqueness of an image. The lower the percentage, the more translucent the graphic or color is. The higher the percentage, the more opaque and solid the graphic or color is. Typography: Is the art of selecting, arranging, and styling typed words and then placing onto a digital or printed piece. This includes things such as font selection, font size, and hierarchy. Serif font: Serifs are often times described as the little “feet” or hooks that extend off the end of a letter. One of the most popular font family is Times New Roman. Serif fonts can oftentimes be the easiest to read on printed material in large copy areas. Sans-serif font: Sans in Latin means “without”. 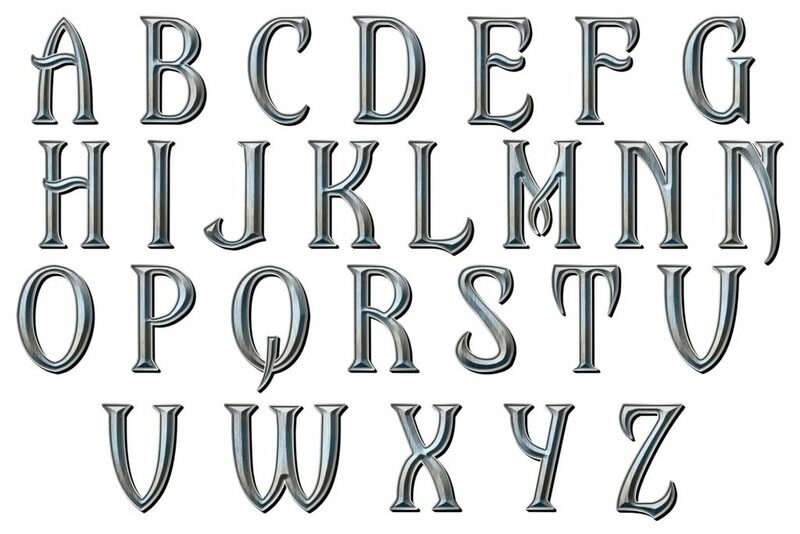 These are fonts without the little feet or hooks. A couple of the most popular font families are Arial and Helvetica. These fonts are easier to read on screens when found in large amounts. CMYK: Refers to the 4 colors typically used for printing – cyan, magenta, yellow, and black. These 4 colors are dropped in small dots that overlap, creating the rainbow of colors you see in printed materials. RGB: This refers to the system digital devices used to create colors on screen. It stands for red, green, blue. 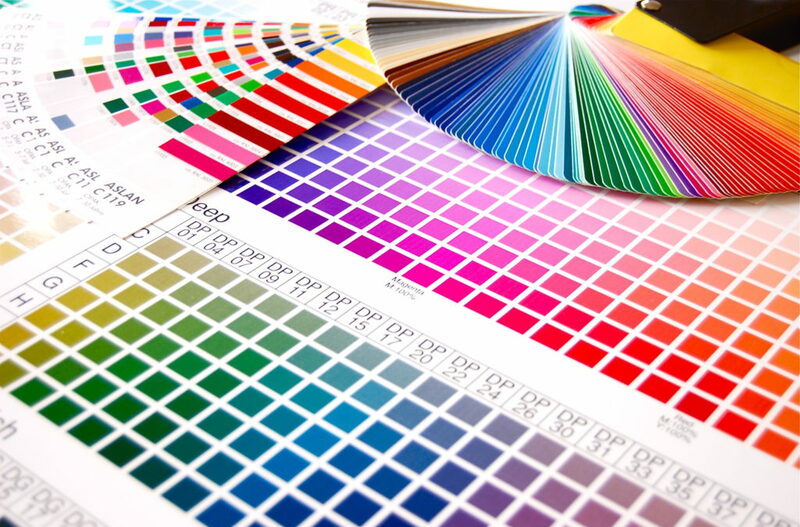 Pantone or PMS: These is a specific color matching system, typically for print, created by Pantone. Many times these colors cannot be simulated with CMYK and the specific ink color is needed for printing. DPI (Dot Per Inch): Particular number of individual dots that can be placed within an inch span on a print piece. Pixel: Small area of color on a screen which make up images when many pixels are put together. PPI (Pixel Per Inch): Measurement of pixel density (resolution) on an electronic device. Page bleed or bleed: This is the extra area that gets cut off on a print piece. It allows images and graphics to bleed off the edge of the piece. Kerning: Space between two characters when you type; both letters within a word and the space between individual words. Spreads: Refers to a pair of pages facing each other. If you open a book or a magazine, there would be a left-side page and a right-side page facing each other. Our goal is to continue to use our blog to share helpful tips and advice with you, as well as inspire ideas and keep your marketing fresh and innovative. Please feel free to ask us any questions or submit a topic you’d like to see in the future.